Could Taber’s iconic sugar factory be in danger of shutting its doors? With contract talks between Lantic Inc. and the Alberta Sugar Beet Growers marketing board on life support, Lantic’s vice-president, finance, Manon Lacroix, said work is continuing to solve the impasse. “We’re still hopeful we’re going to get an agreement,” she said, and added a final offer was submitted to the board last week. If a deal is not reached, and sugar beets are not grown this year, Lacroix said the factory will continue to operate, although she wouldn’t say for exactly how long. Lacroix said what’s left of the inventory is some of the thick juice set aside in storage after the slicing campaign, when beets are refined into sugar. Should Taber’s factory close, she added Lantic’s supply of sugar would exclusively come from the refining of cane. About 100 regular employees would be impacted if the Taber facility ceases operation, as Lacroix added the factory’s workforce swells to about 250 with temporary workers added during the campaign. The man who helps represent many of those employees, Gary Allred, president of United Food and Commercial Workers local 383, said workers received a letter this morning (Monday) informing them about the situation. He added workers are worried, however, this is a situation many have experienced at the Taber facility. Allred remembers years when beets were seeded in the middle of May, so he added it may not be time to push the panic button. He’s not certain how things will end this time, and added there’s really nothing the employees can do about it anyway. For Allred, and many who rely on the industry, the hope is both sides come to an agreement. Fewer sugar beets have been grown in southern Alberta in recent years, however, as 22,000 acres went into the ground in 2014, down from 24,000 the year before and 30,000 in 2012. The previous three-year contract with Lantic and the growers expired at the end of 2014. 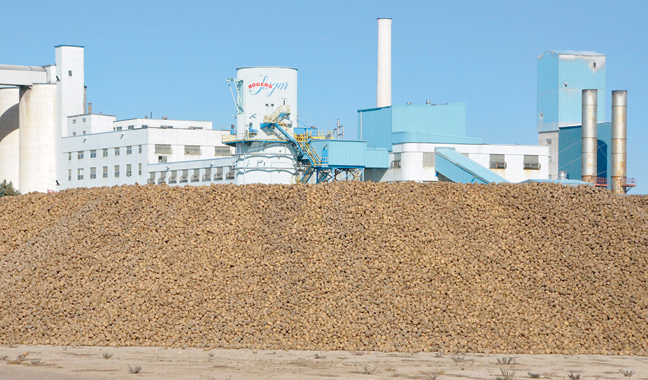 Gerald Third, the executive director of the Alberta Sugar Beet Growers, could not be reached for comment on Monday afternoon, as growers were in meetings discussing the contract situation.